Are you tired of interviewing being a long, drawn-out process? 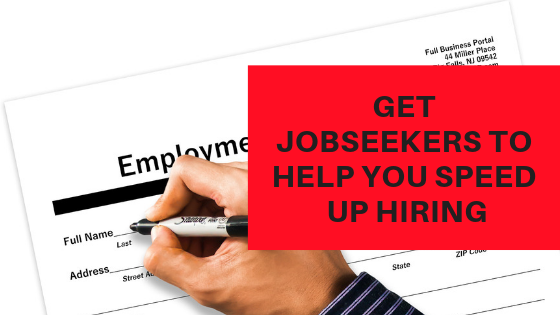 Here’s how you, the jobseeker, can speed things up. Without realizing it, many jobseekers are asking the wrong questions as they conduct their job search. Here are three questions you’ll want to change in your next job interview. In life, there are certain times when we’re more likely to experience emotional ups and downs. Dating is one. Being a parent of child who’s headed off to college is another. And a job search certainly falls into this category too. Here’s how to effectively manage the ups and downs of a job search. Phone interviews are opportunities to shine, as long as you’re performing at your best. Here are four steps to make that happen. When you’re making an important buying decision, which do you prefer: someone making you a promise that the product will work for you or seeing proof that it meets you needs? If you’re like most people, you prefer proof. Here’s how to provide proof you fit a job during your next interview.